Today it is a ghost town, a monument to the inherent dangers of nuclear energy when safety isn't a top priority. Now, with the release of Chernobyl VR Project on PlayStation VR, you can experience the true story behind this monumental and influential disaster that still sparks the curiosity of both fiction and non-fiction alike. Is this the new way to experience history? Let's find out! I was immediately intrigued by the premise of Chernobyl Project VR. It is essentially an interactive documentary that combines virtual environments with 360 video and images to provide an educational experience that brings you across the world to a place abandoned by society. The experience allows you to explore certain environments and become a silent observer during interviews using 360-degree video. The entire experience is narrated by a man with a monotone voice and a thick accent. While his narration isn't terribly engaging, the subject matter absolutely is. The first-hand accounts and interviews offer heart-wrenching stories that talk about the government's poor reaction to the event and the effects of radiation exposure on the people trying to escape the area. Looking back on it all, these stories really showcase the chaos and the lack of preparedness for such an event. For example, one story talks about how first responders were not warned of the effects they would experience from radiation exposure. The government didn't acknowledge the depth and severity of the situation, instead seeking to cover it up and hide the truth from the general populace. This eye-opening perspective on a now well-known event makes it even more terrifying to place yourself in the shoes of people who experienced it. Furthermore, the narration helps you envision life before the disaster. While you may find yourself standing in a junkyard or an empty schoolroom, the narration helps you envision what a normal day was like in these now dilapidated areas. When it comes down it, watching documentaries is one thing, but experiencing one is a totally different story. The presentation and execution is perfect (we'll discuss that momentarily), but the idea here is absolutely incredible. If I were given the choice between watching a Chernobyl documentary on a TV, or experiencing it through VR and virtual environments, I would choose this format time and time again. It's not realistic to say that I could or would ever visit Chernobyl myself, but after playing it, I truly feel like I've been there. So, the idea here is extremely compelling. While the narration could have been more engaging, the subject matter was spot-on. 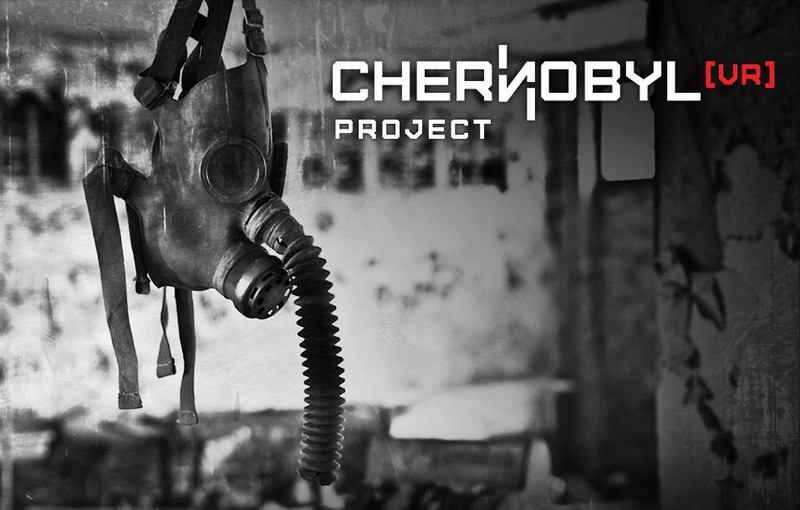 Chernobyl VR Project is played with a DualShock 4 and offers a mostly passive experience. When you begin the game, the main menu has you floating high above of the ground. You can look down and all around you for a bird's eye view of the area. I loved this initial impression as it gave me a great sense of scope. By looking around you can choose from a variety of locations and types of content. The game clearly labels which ones will allow you to explore, and which ones are 360-video. Once you select one, your are taken to that area or interview to experience the segment. During the video segments, you won't have the ability to pause, fast-forward, or rewind, which seems like an oversight as it would have helped viewers who want to see a specific part, or go back to hear something again. The exploration segments offer 3D environments rendered with still images, or completely virtual areas rendered using the Unreal Engine. The virtual areas are truly the star of the show, and I almost wish they had been the majority of the segments. Not only do they look great, but a simple teleportation system allows you freely explore and taken in rich detail. These represent the most immersive aspect of Chernobyl VR Project. Small speech bubbles also allow you to start narration at your leisure. I truly feel like virtual environments recreated in full 3D with the Unreal Engine represent the future of how VR can help us experience history. The other elements are more passive and don't have quite the same impact as these segments. 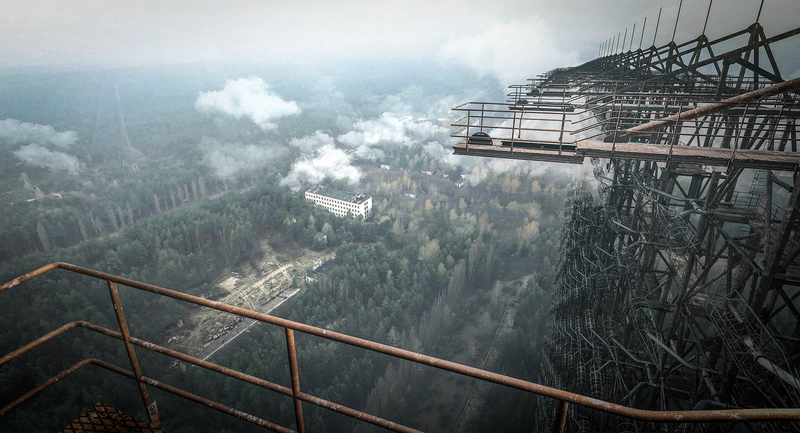 Without coming across as repetitive, I have to immediately say that the 3D virtual environments in Chernobyl VR Project represent the high-point of the presentation. Using a technology called Photosymmetry, these environments have a crisp clarity and wonderful detail to them. They are easily the most immersive aspects of the experience. The 3D environments made from still images are also good, but pale in comparison to the depth and immersion you get from a fully virtual environment. Coming in last are the 360 videos. These offer some great interviews and insight into the disaster, but the video quality is quite blurry and it's hard to make out people's faces which makes it difficult to truly empathize and connect with them. I like the combination of these three elements, but without an equal amount of clarity and consistency between them, it amounts of a mixed bag of highs and lows. Once again, though, I have to commend the developers for proving that an educational experience can and should be done in VR. This is truly the way to experience history, even if this first iteration of the concept has some rough edges. For $10, history buffs and those who are interested in this new way of exploring history should absolutely give this a shot. The quality is inconsistent, but the overall concept is something I absolutely want to see more of on PlayStation VR.